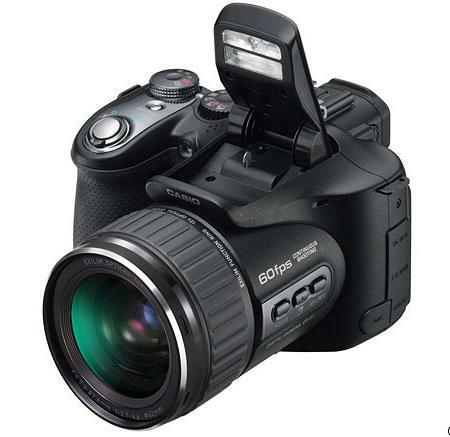 The Casio Pro EX-F1 is an interesting camera in particular for its ability to shoot at 60 Frames Per Second (FPS). User selectable, you can shoot up to 60 frames in 1 second or space the pictures over a longer period. For example, you could shoot 60 frames over a 12 second period at 5 FPS (5x12=60). You can also set the camera to pre-record before you press the shutter. For instance, you can wait until the critical moment, press the shutter when the event occurs, and then go back into the camera to see pictures prior to you pressing the shutter. The EX-F1 can take HD movies at 1920x1080 pixels at 60 fields per second. At lower resolutions, you can increase the FPS to 300 fps (512 x 384), 600 fps (432 x 192) and up to 1200 fps (336 x 96 pixels)! Our modified EX-F1 can see from approximately 350nm (UV) through visible and into the infrared up to 1200nm. *1. DNG file format is one type of RAW image file, and it is recommended by Adobe Systems for use as a standard image file format. *2. When using Panasonic (Matsushita) Pro High Speed 1GB SD Memory Card. *3. Within limits of memory and battery life. *5. With built-in flash off. *6. When set at maximum image size and normal image quality. *8. May differ according to camera setting. *9. Aperture changed by optical zoom or recording mode. *10. SOS: Standard Output Sensitivity. *11. 1080/50i output is not supported for PAL output using HDMI™.